The Kind To City Skin campaign is all about making us more aware of the effects that living in urban areas can have on our skin. Simple's experts have found that factors including the weather, pollution, artificial environments and stress associated with fast-paced city lifestyles can all be harmful to our skin's health and can make our skin sensitive with signs showing in the form of redness, flakiness, dryness and more. Simple aims to encourage us to be kinder to our skin by having a good skincare routine which combats the effects of living in a city. 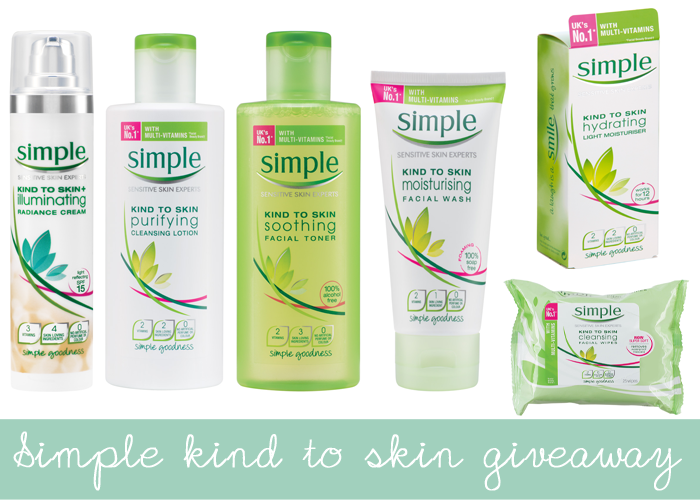 The perfect way to start is by using purer products made with no harsh chemicals, perfumes or colours, such as all of the following skincare which you'll find in the Simple Kind To Skin goody bag I'm giving away. 2 - leave a comment below letting me know your twitter and bloglovin' name so that I can contact the winner! Thanks so much for taking the time to enter. The giveaway will run for two weeks, and will close on Sunday 20 July, and it's UK only. Now if you saw me talking about giveaways and prizes on twitter the other day, this is just to say that this is not the giveaway I was talking about - this is an added bonus giveaway! I was tweeting about how I was sorting through all my bloglovin' subscriptions (something I've not done in years), and couldn't believe how many blogs had stopped posting or just disappeared - over 250 of the ones I was following were no longer active! I couldn't believe it and it made me realise that my blog turning 5 years old is something to celebrate, and the perfect way to do that is with cake... and a big giveaway! 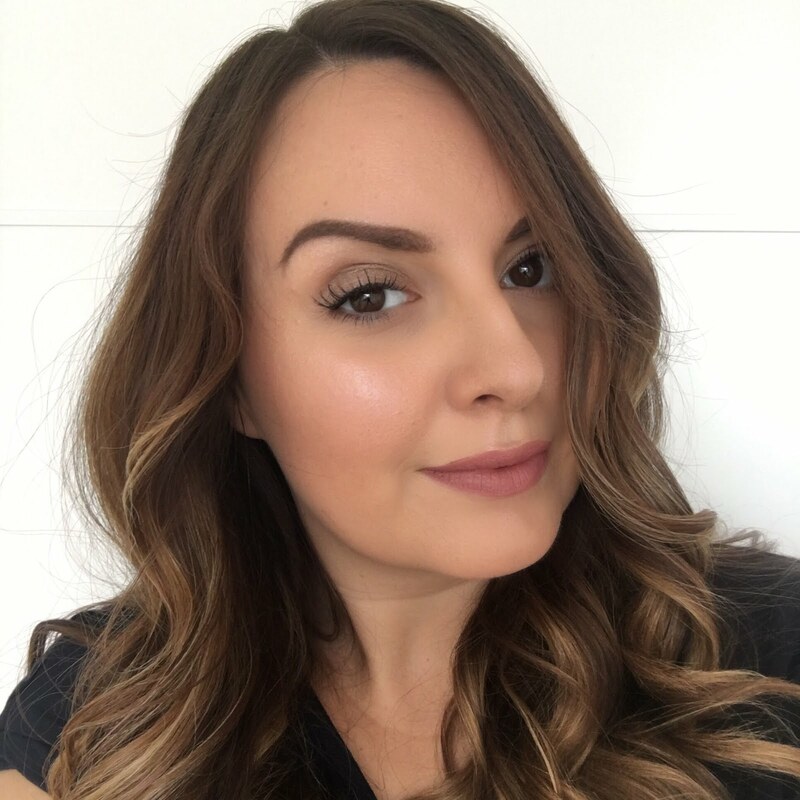 Blogging's a huge part of my life and I enjoy every aspect of it from working with a PR, Digital agency in London, or the brand itself, to the opportunity to hang out with other bloggers and the lovely response and support I get from everyone who takes the time to read my blog, or check my tweets or look at my instagram. It gives me all the warm and fuzzies, so I'm plotting something rather special to celebrate and I think you're going to like it, so watch this space! Wow, 5 years, well done! simple products are lovely , i just wrote about them! Love simple products nearly as much as I'm loving your blog! Fantastic, I love Simple products. I follow on Bloglovin - welshpolarbear.